Although it isn’t any drivers favorite topic, eventually most drivers will experience the inconvenience and chaos of a collision. One minute your belting out the lyrics of your favorite song and… BAM!, you’re involved in a wreck. But don’t fear, being prepared with the proper steps immediately after a collision will help to ensure your safety and keep dollars in your wallet as well. First, try to keep calm and make sure everyone involved is as safe as possible. If your vehicle is drivable, move it out of direct traffic. This keeps you and your car safe from being hit once again by a distracted driver. Next, call 911 to get emergency help and medical help if necessary. Calling for an ambulance is a good idea to make sure everyone gets any medical attention they may need and this will also guard against fraudulent medical claims relating back to the wreck. In the meantime, do not discuss the accident with the other party or witnesses involved even if you feel the accident was your fault. This could lead to exaggerated claims against you or your insurance company. You will want a police report and contact information, license plate numbers, insurance information and make and model of cars involved in the wreck, as well as, contact information from any witnesses. If you have a camera on your phone, taking a photo of the damage on each car is a good idea for reference. 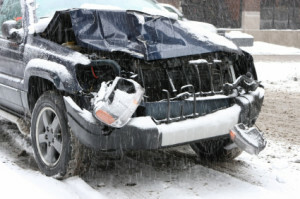 If your vehicle cannot be driven, have it towed to the collision repair center of your choice. And don’t forget to call your auto insurance provider to report the accident as soon as possible. H&H Body Shop in Clinton is a high quality collision repair center offering the latest auto repair technology to get your car back on the road in peak condition. The professionals at H&H will work with your insurance provider to make the process as smooth as possible and get your rental car quickly. This article was written for informational purposes only and should not replace the advice of a licensed attorney. H&H Body Shop assumes no legal liability for the advice in this article.